Theme parks are what most tourists come to see and experience in the Orlando area. There are so many theme parks in this area, sometimes you must choose up front which ones you would like to visit, because there is simply too little time to visit them all. On this part of the website, we'll discuss the bigger theme parks in the Central Florida area. Disney tickets are in various sorts and flavors. 'Hopper Passes', 'Magic Your Way' tickets etc. Great discounts can be found if you visit the parks over multiple days. If you just want to visit one park a day, it might be cheaper to buy the tickets at the gate. Maple Leaf Tickets sells theme park tickets at discount prices. On their website you can find the prices and ticket options, because there are a lot of variations if you talk about theme park tickets. We are in no way affiliated with Maple Leaf Tickets. 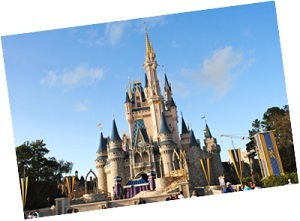 Magic Kingdom is the world's most visited theme park, with over 16 million visitors the last couple of years. The park is divided into six themed 'lands'; Mainstreet, U.S.A., Adventureland, Frontierland, Liberty Square, Fantasyland and Tomorrowland. Cinderella Castle, Space Mountain, The Haunted Mansion, 'It's a small world'... it's all there. Everyone should visit this theme park at least once in a lifetime, it captures the enchantment of fairy tales like no other. 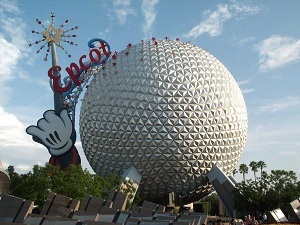 EPCOT stands for Experimental Prototype Community of Tomorrow, a Utopian city of the future by Walt Disney. The last couple of years, the theme park had over 10 million visitors yearly. The park is divided into two areas; Future World and World Showcase. The first area is all about technology and innovations. The Soarin' attractions is my most favorite attraction in EPCOT. Don't forget to visit the re-designed Test Track, opened up in december 2012 again. World Showcase hosts 11 countries from all over the world. Most of them feature shops and restaurants from those countries, with here and there an attraction. 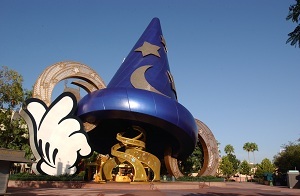 Hollywood Studios is as it's name would already tell, dedicated to show business and movies. It had over 9 million visitors each year for the last couple of years. The park is divided into six themes; Hollywood Boulevard, Echo Lake, Streets of America, Animation Courtyard, Pixar Place and Sunset Boulevard. Don't forget to visit The Twilight Zone Tower of Terror! 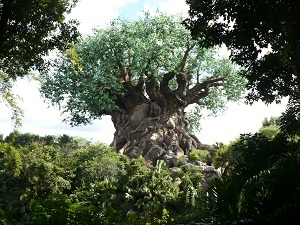 Animal Kingdom is the fourth Disney theme park and has just like Hollywood Studios about 9 millions visitors each year. The park is combining attractions and a zoo and is divided into seven themed areas; Oasis, Discovery Island, Camp Minnie-Mickey, Africa, Rafiki's Planet Watch, Asia and DinoLand U.S.A. Personally, this is my least favorite Disney theme park. I love animals, but the combination isn't what I expected from a Disney park. 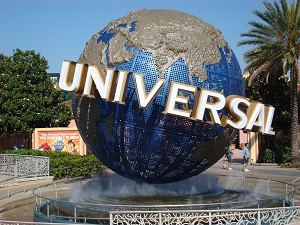 Universal Studios' theme is movie and television. About 8 million visitors visit this park every year. It's not just attractions, it's also a working studio. The park is divided into six themes: Production Central, New York, San Francisco, Hollywood, Woody Woodpecker's Kidzone and World Expo. When you go, don't forget to go to The Simpsons Ride, I like it a lot!. Transformers: The Ride opened up in summer 2013. Also The Wizarding World of Harry Potter is located over here. Both Universal parks have a part of this Wizarding World. In Universal Studios you can experience Diagon Alley. Hogwarts castle and Hogsmeade are located in Universal's Islands of Adventure. Both are connected by the Hogwarts Express, though you will need a park-to-park admission ticket to visit the other part of the Wizarding World of Harry Potter. Upcoming rides in 2017: Race through New York Starring Jimmy Fallon, Fast & Furious: Supercharged. 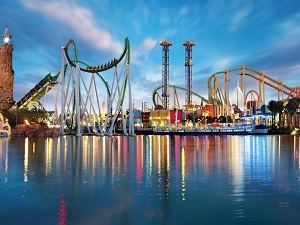 Islands of Adventure is for those visitors who are looking for adventure. No roller coasters including loopings in Universal Studios Florida, neither in any of the Disney parks. If you want some adventure\ and you look for some good roller coasters, then absolutely visit Islands of Adventure! This park consists our of seven themed islands; Port of Entry, Marvel Super Hero Island, Toon Lagoon, Jurassic Park, The Wizarding World of Harry Potter, The Lost Continent and Seuss Landing. The Harry Potter themed island attracts a lot of visitors as Universal saw the attendance rise with about 1.7 million extra visitors in 2011. The Harry Potter World is divided in two parts, in this theme park you can find the village of Hogsmeade and Hogwarts castle. Diagon Alley is located in Universal Studios Florida and can be visited by taking the Hogwarts Express to the other park. You will need a park-to-park admission ticket to make use of this. Upcoming rides in 2016: Skull Island: Reign of Kong. 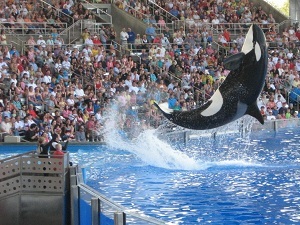 Seaworld is a marine-life based theme park with about 5 million visitors yearly. Visitors can see sea creatures from nearby or even pet stingrays or feed dolphins. The orca show featuring Shamu is a must-see for everyone. The park has three roller coasters called Kraken, Manta and Shamu Express. Next to the roller coasters it features next to aquarium exhibits, a lot of live shows with animals like Pet's Ahoy, Clyde and Seamore's Sea Lion High or for example Blue Horizons. Turtle Trek opened in summer 2012, a 3D dome theatre featuring a film of a sea turtle's life. Not much later 'Antarctica: Empire of the Penguin' was opened. Visitors can also watch real manatees, sea turtles and salt water fish. Young and old people will enjoy the park for sure. 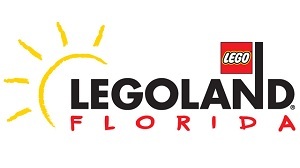 Opened in October 2011, Legoland Florida is the biggest Lego-themed theme park in the world. It's located in Winter Garden, which is about a 45-minute drive from the Kissimmee area. The park features roller coasters, interactive rides, a factory tour, Lego recreations of famous landmarks and a lot more. The park is divided in 11 sections; The Beginning, Duplo Village, LEGO Kingdoms, Fun Town, Land of Adventure, Imagination Zone, Lego City, Miniland USA, Pirates' Cove, Lego Technic and Cypress Gardens. This theme park is a 19th century African-themed animal theme park, which could be compared to Disney's Animal Kingdom. Busch Gardens' theme is African, Disney has animals from all over the world. 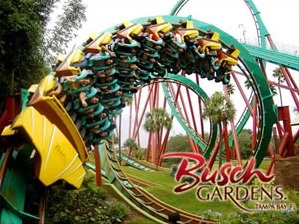 But Busch Gardens makes that up by having a lot of crazy roller coasters! The park is divided into 10 themed areas; Morocco, Bird Gardens, Stanleyville, Sesame Street Safari of Fun, Nairobi, Jungala, Congo, Timbuktu, Crown Colony Plaza and Egypt. Make sure you ride SheiKra, a roller coaster with a 90 degree vertical drop! In 2015, the Falcon's Fury ride opened in the theme park; a 335 feet freestanding drop tower. This ride is scary and only for dare devils! It takes you about an hour to get from the Orlando - Kissimmee area to Tampa.